When “what people say, what people do, and what they say they do are entirely different things” (Margaret Mead) we’re in real trouble. On this Father’s Day, I want to honour the one person, of all the leaders I know in this world, who I can vouch for as walks his talk: my own father. In my head I was debating whether or not to continue this “I Don’t Care How Good You Are” series on character, ethics, morality and integrity when I chanced upon an quote from the newly-launched book of a dear family friend (actually my Dad’s Best Man nearly 40 years ago! ): “What a person truly believes isn’t what they think or say, it’s what they do” —Queenie in Lark Rise to Candleford. That was it; that was my confirmation to do this piece. So let’s roll with another in this character series. But this one is very special because it is dedicated to my own biological father. In many places and pieces of literature, even in Scripture, the life we lead is often referred to as our “walk.” Let’s examine what it means when our talk (what we say we believe in, who say we are or what say we do) doesn’t match our walk. 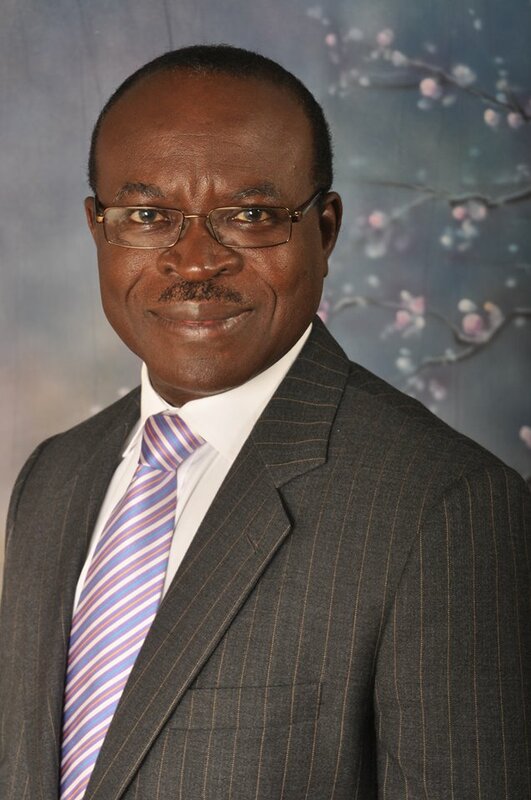 If there ever was a man of integrity I could vouch for it is my father: Reindorf Kofi Baah Perbi. In fact, even way back in the 1980s during his days as Chief Accountant at the then Social Security Bank (now SG-SSB), when his signature was forged and monies stolen it was his integrity that saved him. Everyone vouched for him: “Chief would never do such a thing,” the convincingly told the authorities. Those were the heady days of revolution and military rule in Ghana so he had even received a pre-judicial slap or two already when he was picked up by soldiers and sent to Gonja Barracks. After several weeks of tribunal hearings (and I remember us going to fetch him from tribunal hearings after we had been picked up from Ridge Church School), eventually, the perpetrators were found, tried and shot via firing squad. It was no joke. One of them, I believe, is still on the run—he must be still running now or dead from running. Contrast Dad with Kenneth Lay, who was the CEO of Enron. He played a leading role in the corruption scandal that led to the downfall of the Enron Corporation. Unfortunately, Lay and Enron have become synonymous with corporate abuse and accounting fraud since the scandal broke in 2001. Something doesn’t add up here because in 2004, Lay was indicted on 11 counts of securities fraud and related charges. He was found guilty on May 25, 2006, of 10 counts against him which meant he could face anything from 20 to 30 years in jail. However, only three-and-a-half months before sentencing, Kenneth Lay died of a heart attack while vacationing. Same thing with Bernie Madoff who founded a Wall Street firm in 1960 of which he was chairman until his arrest on December 11, 2008. He would soon plead guilty to 11 felonies, having turned his wealth management business into a massive Ponzi scheme with almost $65 billion of fabricated gains. Yet hear his defense attorney, Daniel Horowitz: “…Bernard (Bernie) Madoff is a longstanding leader in the financial services industry. He will fight to get through this unfortunate set of events. He is a man of integrity.” Madoff is currently serving a life term in a federal prison for his kind of integrity. Integrity comes from the Latin root integritas, which means entire or whole. It’s the word from which we get “integer” in Mathematics. It may help to remember that integers are positive or negative whole numbers. To have integrity, therefore, means you are whole, you are one: your private and public lives are one; your charisma and character jive; what you say and what you do are in sync. Extending the Math metaphor, a life of no integrity on the other hand is fractionated—instead of integers, we have fractions. That is when the Yaw you see behind the pulpit is different from the Yaw you see at the pub; and different from the Yaw you experienced on vacation in Panama; who is also very different from the Yaw at home… Sadly, not too long ago even a pastor whose public image did not match who he truly is was exposed on CNN. When it comes to integrity, I dare say that many non-religious people, even atheists, have more integrity than many so-called religious people. This is what I mean. If Steve says, “I lie, I deceive, I steal.” Steve has low morality. When Yaw says, “I abhor lying, I don’t deceive, I never steal,” he has high morality. BUT, if Yaw goes on lying, deceiving and stealing then Yaw is not a person of integrity. He doesn’t walk his talk. However, if Steve goes ahead to lie, deceive and steal, although he has low morality he actually is a person of integrity (albeit in a very twisted way) because he walks his talk. He said he will do these and he does. The extent to which your walk and talk jive is the extent to which you are a person of integrity. I’m not perfect; none of us is. Many times I haven’t kept my word—including keeping appointments. It isn’t a perfect world either; stuff happens that alter our good intentions. One thing I do, however, is strive to call or email and apologize profusely, letting the person know I had every intention to keep my word but now very sorry I’m unable. The Psalmist David, takes this even a notch further saying a person of integrity is one who keeps his/her word, even when it hurts. I have observed with shock how people say things they don’t mean and mean what they don’t say; and say things they have no intention of ever acting on. Time wouldn’t allow me to go into my private disappointments in the lives of public speakers whose private lives don’t measure up to their public statements or images. And they have no qualms about it. The Lays and Madoffs did not just wake up one day and find themselves in court—a little slip, a little lie, and slowly slowly but surely surely down a slippery slope we go. It doesn’t matter how good you are at what you do (skill, talent, gifting). If consistently what you say does not match what you do (walk), I shan’t hire you. Or if I do by mistake or because I want to give you a chance, you’re already on the firing line—it’s just a matter of time, if nothing changes. The world has billions of smart phones; what we need now is truly smart people. We need more walkie-talkies—people who walk their talk and talk their walk. Thanks Dad, for showing me the way. Happy Father’s Day!